A 10-spot surge by Kenny 'Blues Boss' Wayne couldn't unseat Tedeschi Trucks Band as the #1 album at blues radio, but it was enough to send him soaring to #2. The rest of the Top 5 is Hot Tuna, Tab Benoit's Medicine, and Terry Hanck's Look Out!. Kenny Wayne Shepherd's How I Go hasn't been this high in a little while and is probably the only other major difference this week compared to last as he edges in at #14. From there, we have mostly albums that have been part of our Top 15 for quite some time. I predicted a shakeup awhile ago and it hasn't happened… yet, I'll declare myself Nostradamus when it does. I just received Tuna's Steady As She Goes last week and Terry Hanck's album should arrive this week. Both have been added to my burgeoning list of pending album reviews. I just hope Terry and Tuna hang on long enough in the Top 5 for me to get those reviews finished (or at least the Top 15). I'll get them reviewed either way as both have been mainstays on the chart for awhile. 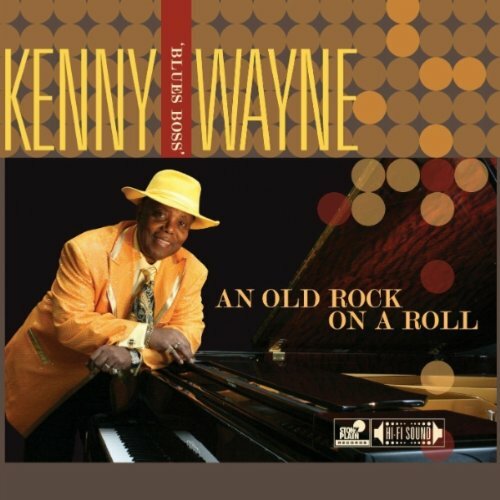 A few more words on our big mover-and-shaker, Kenny "Blues Boss" Wayne. His record is a fine collection of songs, featuring some sharp piano playing from Wayne and benefitting from Duke Robillard's production as well as his backing band. 5. Terry Hanck - Look Out!